Independence Day (4th of July) you could be busy doing own thing enjoying the special day. You can bring the flavour of Independence Day to your online world with Yahoo Messenger. 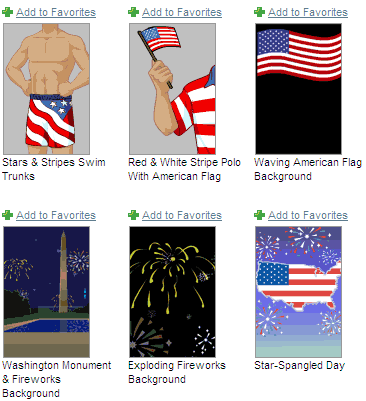 Official blog has listed some cool goodies to get going with 4th July Independence Day online activities on Yahoo Messenger. Independence Day Yahoo Avatars – You can grab special Independence Day avatars featuring US flag, fireworks and lots more. Click here and then login, select your gender to see special avatars. You can click on any avatar and customize it further. Change Messenger Skin – Get the fill of blue and red colors this Independence Day. Change your Yahoo Messenger skin flaunting bright colors. Goto Messenger > Preferences, then click on appearance tab and check for change skin option. Happy Independence Day!